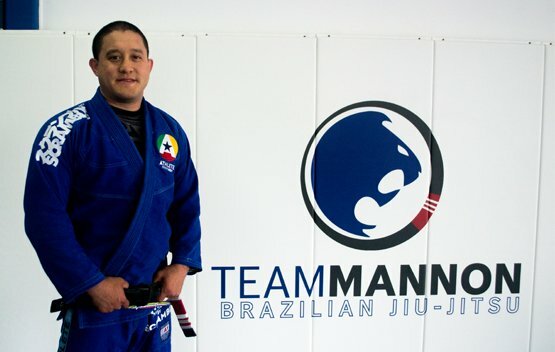 Team Mannon Brazilian Jiu-Jitsu Academy is conveniently located just blocks from the Virginia Tech campus on North Main Street in Blacksburg, Virginia, between Eats Natural Foods and Mill Mountain Coffee, and just across from Wendy’s. Come in and see if you enjoy it! 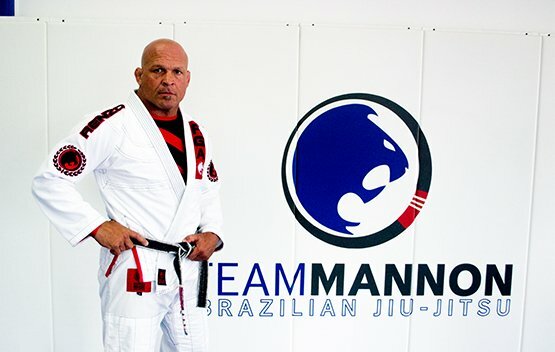 Tim is the owner, founder, and head instructor at Team Mannon Brazilian Jiu-Jitsu Academy. He is also a Third Degree Black Belt in Brazilian Jiu-Jitsu under Master Renzo Gracie and is a retired professional MMA fighter with 20 years of experience. 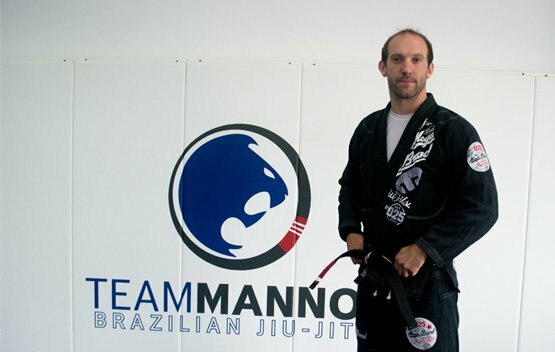 Justin is a 2nd Degree Black Belt in Brazilian Jiu-Jitsu under Professor Tim Mannon. He teaches many of the Intermediate/Advanced BJJ classes and is available for assistance during most open mat training sessions. Andrew is a Black Belt in Brazilian Jiu-Jitsu under Professor Tim Mannon. He currently teaches the morning BJJ classes, most of the kids BJJ classes as well as some of the BJJ Fundamentals classes. Brazilian Jiu-Jitsu (BJJ) is a martial art, combat sport, and a self defense system that focuses on grappling and especially ground fighting. The art was derived from the Japanese martial art of Kodokan judo (which itself is derived from Japanese Jujutsu) in the early 20th century.Jiu-jitsu is agrappling-based martial art whose central theme is the skill of controlling a resisting opponent in ways that force him to submit. Due to the fact that control is generally easier on the ground than in a standing position, much of the technique of Brazilian jiu jitsu is centered round the skill of taking an opponent down to the ground and wrestling for dominant control positions from where the opponent can be rendered harmless. BJJ training can be used for sport grappling tournaments (gi and no-gi) and mixed martial arts (MMA) competition or self defense. Sparring (commonly referred to as “rolling”) and live drilling play a major role in training. 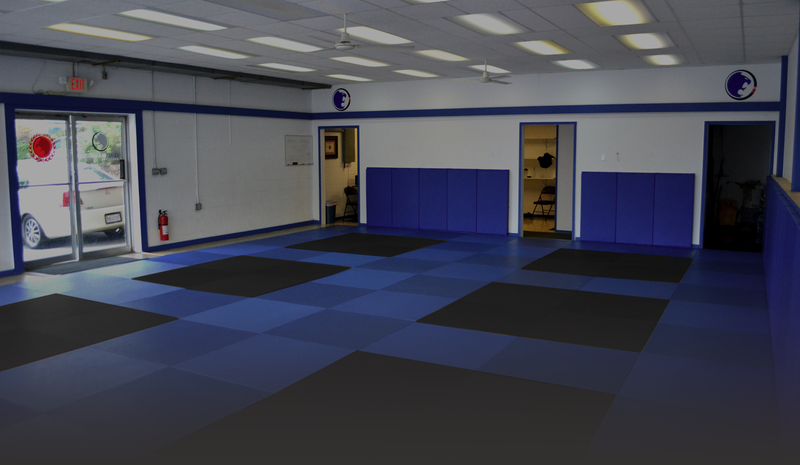 Our Brazilian Jiu-Jitsu classes start out with a warm-up usually consisting of jogging, bear crawls, and shrimp drills on top of many other exercises. We then learn and go over one or two techniques that fit in with the position we have been drilling for the week. In order to create muscle memory, we then drill the move we have learned on our fellow training partners. Often times, once drilling is done, we then continue onto live sparring (rolling) in order to put our techniques into practice. When visiting for your first time, please wear basketball shorts and a t-shirt. A mouth guard and cup are recommended, but not required. If you have a gi from another martial art (Judo, Karate, etc.) feel free to wear that. If you plan on signing up and continually attending Brazilian Jiu-Jitsu classes, a BJJ gi is required. Submission grappling (also known as submission fighting, sport grappling, or simply No-Gi), is a form of competition and a general term describing the aspect of martial arts and combat sports that focus on clinch and ground fighting with the aim of obtaining a submission using submission holds. The term “submission grappling” usually refers only to the form of competition and training that does not use a gi. Submission fighting as an element of a larger sport setting is very common in mixed martial arts, Pankration and others. Submission grapplers usually wear shorts and skin-sticky clothing such as a rash guard. Our submission grappling classes start out with a warm-up usually consisting of sparring (rolling), jogging, bear crawls, and shrimp drills on top of many other exercises. We then learn and go over one or two techniques that fit in with the position we have been drilling for the week. In order to create muscle memory, we then drill the move we have learned on our fellow training partners. Often times, once drilling is done, we then continue onto live sparring (rolling) in order to put our techniques into practice. When visiting for your first time, please wear basketball shorts and a t-shirt or compression shirt. A mouth guard and cup are recommended, but not required. If you plan on signing up and attending submission grappling classes, MMA/grappling shorts and a rash guard are recommended, but not required. Here at Team Mannon BJJ, classes for children are structured, but without the traditionalism and cultural influences of other martial arts programs. Safety is our highest priority. 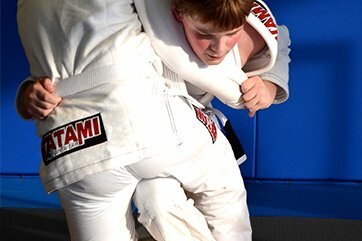 Youth members will learn techniques and movement skills from Brazilian Jiu-Jitsu in a fun, non-aggressive and non-intimidating environment. We provide kids with essential training in character, self-defense, fitness, and fun! The discipline and self-confidence that children acquire in our kids program helps them grow into well-rounded adults and empowers them to more effectively handle problems, including bullying. We acclimate kids to an active, healthy lifestyle full of character and self-esteem. Kids with character have powerful coping strategies for dealing with and resolving confrontations with peers. This class is designed to instill in our young students the values of self-confidence, physical fitness, discipline, respect and mental focus. Brazilian Jiu-Jitsu (BJJ) is a martial art, combat sport, and a self defense system that focuses on grappling and especially ground fighting. The art was derived from the Japanese martial art of Kodokan judo (which itself is derived from Japanese Jujutsu) in the early 20th century. It teaches that a smaller, weaker person can successfully defend against a bigger, stronger assailant by using leverage and proper technique – most notably by applying joint-locks and chokeholds to defeat the other person. BJJ training can be used for sport grappling tournaments (gi and no-gi) and mixed martial arts (MMA) competition or self defense. Sparring (commonly referred to as “rolling”) and live drilling play a major role in training. Our Kids classes start out with a warm-up. We then learn and go over grappling techniques for 30 to 40 minutes. When visiting or attending, please wear shorts and a t-shirt. We also recommend wearing a mouth guard and cup. Mixed Martial Arts (MMA) is a full contact combat sport that allows the use of both striking and grappling techniques, both standing and on the ground, including boxing, wrestling, Brazilian jiu-jitsu, Muay Thai, kickboxing, taekwondo, karate, judo and other styles. The roots of modern mixed martial arts can be traced back to the ancient Olympics where one of the earliest documented systems of codified full range unarmed combat was utilized in the sport of Pankration. Various mixed style contests took place throughout Europe, Japan and the Pacific Rim during the early 1900s. The combat sport of Vale Tudo that had developed in Brazil from the 1920s was brought to the United States by the Gracie family in 1993 with the founding of the Ultimate Fighting Championship (UFC), which is the largest MMA promotion company worldwide. The more dangerous Vale Tudo style bouts of the early UFCs were made safer with the implementation of additional rules, leading to the popular regulated form of MMA seen today. Originally promoted as a competition with the intention of finding the most effective martial arts for real unarmed combat situations, competitors were pitted against one another with minimal rules. Later, fighters employed multiple martial arts into their style while promoters adopted additional rules aimed at increasing safety for competitors and to promote mainstream acceptance of the sport. Following these changes, the sport has seen increased popularity with a pay per view business that rivals boxing and professional wrestling. Our Mixed Martial Arts classes start out with a warm-up usually consisting of jogging, shadow boxing, and many other exercises. We then learn and go over striking and grappling techniques for 30 to 40 minutes. Once we are done learning we do some work round sparring. On Wednesdays, during MMA Fundamentals, sparring is light. On Saturdays, however, sparring is a bit harder. Try a full, free class on us! We're so confident you'll love our instructors and atmosphere, we want you to try a class for completely free. So come on in! What do you have to lose? Give us a call or drop by anytime. We do our best to respond in a timely manner. Check our schedule for when we're open.